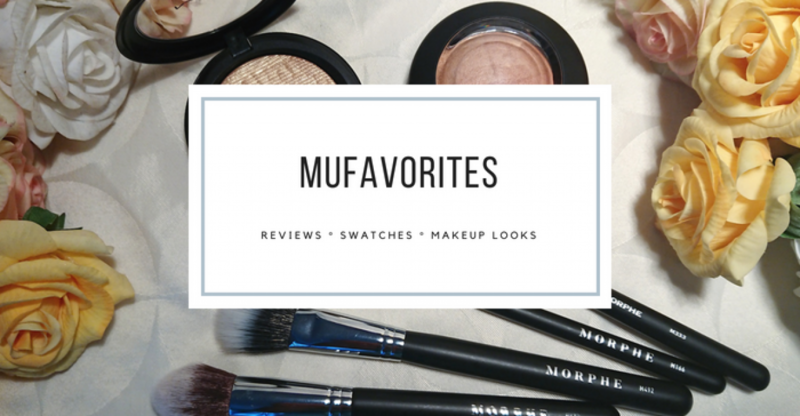 Throwback Thursday Makeup Look – Do You Remember These? This week I decided not to go for a palette, but rather use some of my old singles. The absolute oldest single shadows I own is actually pot of loose powder mineral makeup, mostly form Everyday Minerals or a Sweedish brand called Tikei. Do you remember when mineral makeup was such a big thing. Everything had to be powder form, foundation, blush, bronzer, concealer. You name it, and it was powder. Those were some messy days! I picked out a few very old and rarely used items. The Smashbox Waterproof Shadow Liner was my first ever Smashbox product. I can’t believe this is still alive because thinking of it I must have purchased this back in 2010 or 2011, because I clearly remember buying it during my last year of my bachelor which was finished in 2011. A cream product still alive after 7-8 years is pretty impressive (and I should probably consider decluttering). I did use this as a base for my eyeshadows. The two eyeshadows from Everyday Minerals are Comfy and Volcano Blossom. Both are very pretty, but soooo messy. I get why this trend died out. Pressed powders are just so much easier. However, at that time pigmentation in eyeshadows in general was not as good as today, so loose shadows often offered a much better payoff than pressed shadows even at a low price. The Gosh Effect Powder in the shade “Glamour” is my only item from Gosh, and it is probably the oldest product out of all of these. It is at least 10 years! It is so gorgeous though, and back in the days when I were young and hadn’t grown old and boring this was my favorite shadows to use when I went to a party. I barely know what a party is anymore, because I long walks in the mountains and a quiet evening in my own home now…Now I will probably loose all my young fun-loving followers due to being and old boring rag, or maybe you are just here for the makeup? *hopeful*. OK, way to long side-track, but the gold glitter is very pretty though! Finally I had a very very hard time finding an old matte crease-shade. Apparently young fun-loving me did not use matte shades very often. So I cheated and used the Too Faced Chocolate Soleil bronzer in my crease. Everyday Minerals Shimmer Eyes – Volcanic Blossom, Comfy. Gosh Effect Powder – Glamour. Maybelline Master Drama Kolh Pencil – Ultra Black. I kind of wish loose shadows were not such a mess because they do look very pretty on the eyes. I just don’t really see myself doing this in the morning when I need to get ready for work and don’t want to mess it all up. What are your thought on them? Too much work or worth the effort? What is in my makeup bag – July 2018!